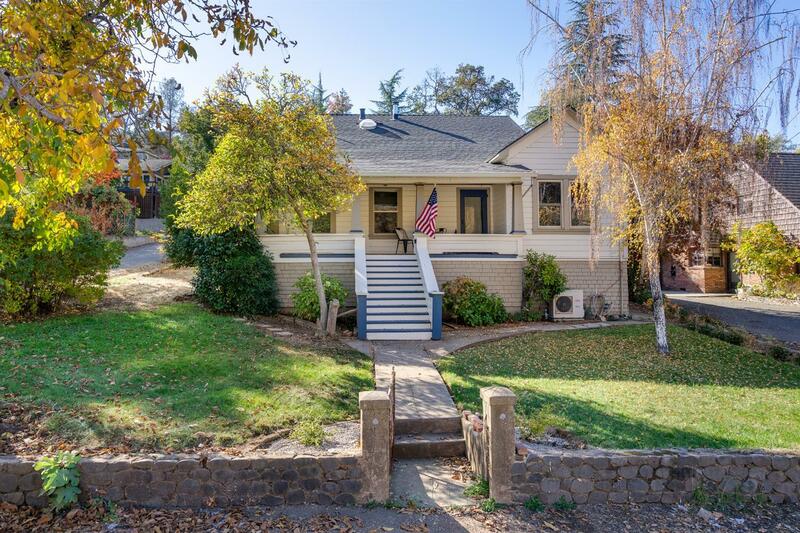 Rare opportunity to own a piece of Sutter Creek history where you can walk to downtown! One of the original homes downtown, this charmer has been updated while still maintaining its historic details such as original French doors and built in hutch. Newer roof, windows, paint and kitchen. Extra-large lot with a full basement and 1-car detached garage. Three beds and 2 baths plus a bonus enclosed porch in back. Fabulous front porch where you can sit and watch the scenes of downtown Sutter Creek!